Please remember that chatting online is still a form of communication with other human beings. Therefore, it is important to carry on your chat as you would if you were sitting face-to-face with the person with whom you are speaking. Many chatrooms have a list of rules for participants. Read them carefully before entering a chatroom to be sure you know what to do and what to expect of others. While it can be exciting to enter a chatroom, you might want to contain your enthusiasm for just a little while until you have had time to see what the atmosphere of the chatroom is. It is perfectly okay to simply "lurk" for a bit before jumping into the discussion. Inappropriate language and excessive cursing is not generally appreciated, nor tolerated for long. You should be able to get your point across calmly and cleanly, without resorting to vulgarity. If you find that hard to do, take a break from your keyboard or touchscreen, and take a few deep, calming breaths. Avoid using slang or texting shortcuts that may be unfamiliar to other chatroom participants. Using text that cannot be easily deciphered is like using a foreign language when you know your audience does not understand it. Since your reason for participating in a chatroom is to share your views and listen to the views of others, clarity is a good goal to keep in mind. When you enter the chatroom, identify yourself by your screen name. Do not use your personal name or reveal any personal information about yourself. It is not rude to identify yourself by a screen name only, since other participants expect you to do just that. Do not ask others for their personal information. If there are other chatroom participants who are rude or hostile, do not engage with them. Doing so only fans the flames of anger or rudeness, and you may get burned in the process. Just as you would if you were speaking to someone in person, listen respectfully to what other chatroom participants have to say. Do not hog the conversation. Please remember that in computer communication, typing in all caps is the equivalent of yelling. There is very little reason to yell online. Try to rein in any tendency you have to use excessive question marks or exclamation marks. Several exclamations marks after a sentence reveals an agitated state. Calm and collected is almost always better. Occasionally, when a chat is picking up speed, you may have some trouble keeping up with who is saying what. Take the time to be sure you understand what is being said before jumping in with your thoughts. When you are ready to leave the chatroom, say good-bye just as you would in person. Keep your language clean, and chatting will be pleasant for everyone. If you follow these simple guidelines, you will enjoy many hours of pleasant communication with like-minded individuals in WireClub's many free online chatrooms. So, find one that suits your interests, and start chatting today! Chatbots, Chat Interfaces, and In-Chat E-Commerce, Oh My! Humans love to chat. From old-style rotary telephones to smartphones, the need to communicate with other humans has led to a plethora of inventions over the years. Chatting by computer emerged as far back as the 1970s, and instant messaging technology puts the power and allure of chat directly into the palms of our hands. But all of this technology has been about humans communicating with other humans. Chat technology is set to have a huge role in mobile e-commerce. However, modern chat technology has emerged, leading consumers to chat, not with other people only, but with A.I. as well. Enter the age of Amazon Echo, Cortana, Google Now, and Siri. Like a scene from StarTrek, consumers can now simply verbalize to their smartphones what they want from within chat platforms, and like magic, A.I. takes over, sometimes providing results in the blink of an eye. There can be no doubt that consumers in America are turning their attention to mobile for e-commerce. It seems logical, then, to assume that as more and more consumers use mobile devices both to chat and to shop, a merging of the two will take place. That is what is already happening in other regions of the world. According to Venturebeat.com, mobile commerce is already high in the Asia-Pacific market, where 46 percent of consumers made at least one purchase on a mobile device in 2015. Experts believe that in-chat e-commerce in that region has grown exponentially because of the Asian messaging app, WeChat. 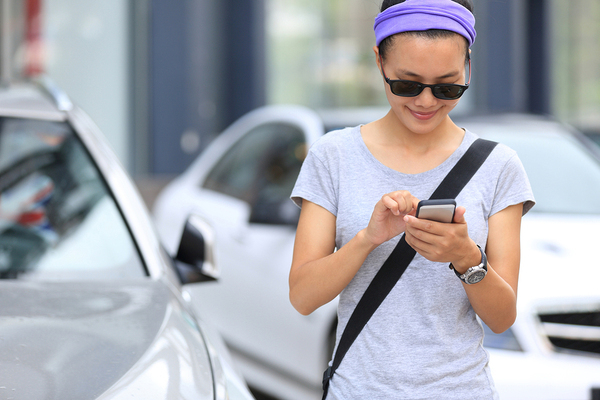 WeChat has 650 million active monthly users, and it is a common occurrence for them to use in-chat e-commerce to get their shopping done on the go. However, Asia will not have all the fun, if Facebook has anything to say about it. Commenting on Facebook's announcement of chatbots for Facebook Messenger earlier this year, Venturebeat notes: "Facebook's entry signals massive opportunities given the combined 1.6 billion users on Facebook Messenger and WhatsApp - the messaging platform Facebook acquired in 2014. According to eMarketer, Facebook and WhatsApp are regarded as the two "global powerhouse apps" with significant reach in more than 20 countries worldwide. And the number of messaging app users globally is expected to reach 2.19 billion by 2019 - or 80 percent of smartphone users." 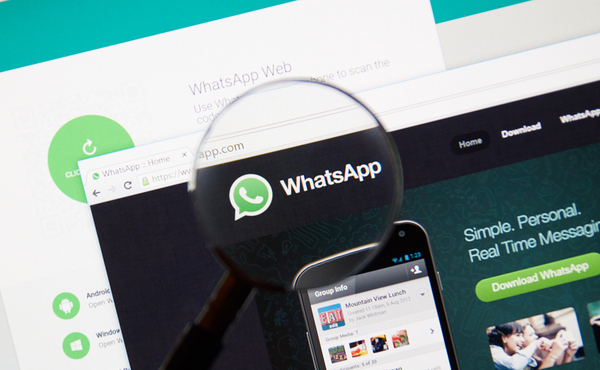 Facebook's acquisition of WhatsApp points to a bright future for chat. Channele2e believes that chatbots, in-chat e-commerce, and chat interfaces will continue to make their presence known in the world of e-commerce for some time to come, asserting that at some point, chatbots will no longer be thought of as novelties, but as tools that enable consumers to quickly and easily interact with their favorite e-commerce brands. The Channele2e article notes: "Bots, and the chat platforms they run on, provide an amazing opportunity for brands to deliver contextual experiences on borrowed mobile moments. This is the first step on a journey towards a bright future where consumers no longer orchestrate their needs through content and services, but sit back and let the technology work for them." As chat technology continues to evolve, it appears there will be no shortage of ways in which chat will contribute to the mobile revolution. At the same time, you can still enjoy chat technology in a much simpler form, in the way of easy-to-use chatrooms like the ones you can find at Wireclub. 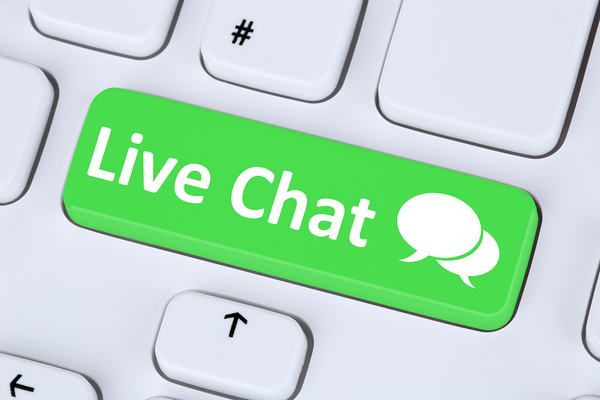 Check out our free online chatrooms today. Funky, Funny, and Fabulous New Badges! Sometimes, before you can figure out where you're going, you have to look at where you've been. With the advent of voice chat, it seems a good time to look back at the history of chatrooms and take a moment to reflect on the important role they have played as the internet has evolved. Though it may seem hard to imagine it now, the first ever chatroom dates back to 1973 when Doug Brown and David R. Woolley invented Talkomatic. (Gotta love that name, right?) Talkomatic was part of a computer assisted instruction system used at the University of Illinois. The chat feature was limited and only five people could participate in chat at a time. Messages appeared on all users' screens, and each character appeared on the screen as it was typed. While Talkomatic was not the most efficient chatroom to ever function, it was the first. A web version of the program was launched in 2014 for those who are nostalgic for the earliest days of chat. In 1978, a University of Essex student named Roy Trubshaw created a computer program that allowed people to join in a fantasy-based game from their home computers. The program was called MUD, or Multi-User Dungeon (a reference to the game Dungeons and Dragons). At first, the MUD program was only used by Trubshaw's friends, but soon there were other versions of MUD programs floating around, spreading throughout the internet, then in its infancy. MUD programs were popular among computer-literate users, and by 1994, there were about 400 MUD programs in use, with people chatting about gaming and other topics of mutual interest. Another significant development for online chat came in 1980. In Columbus, Ohio, Alexander Trevor introduced CompuServe's CB Simulator. Unlike Talkomatic, this chatroom program was for the public and was considerably closer in concept to the chatrooms of today. Jarkko Oikarinen created Internet Relay Chat (IRC) in 1988. Though it was originally designed as a sort of digital bulletin board, the functionality that most people enjoyed with it was the chat function. By 1991, developers were working on a programming language that would come to be known as Java. Java, as you know, revolutionized the internet. With Java, suddenly internet users could use dynamic graphics and applications on the web. And Java chat rooms were born. By 2003, 550 million computers were running with Java. And Java chatrooms were popular, because Java enabled chatrooms to be directly embedded into a website page. This meant that, for the first time, internet users could use chatrooms straight from their browser. Even today, Java chat is being used on websites around the globe, both by individuals and by businesses. Instant messaging services entered the chat world in the mid-1990s. Popular chatroom service providers were Yahoo! Messenger, AOL, and MSN Messenger. 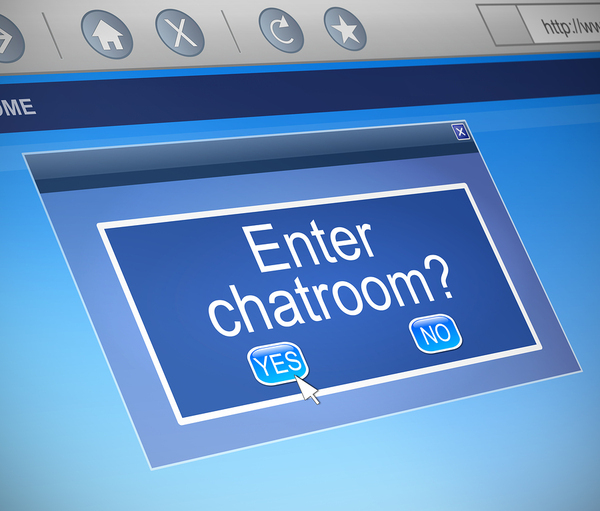 Those chatrooms have now passed into history, and a modern breed of chatrooms has emerged. Chatrooms survive because people love to talk! Some chatrooms now have videoconferencing capability woven in, making it possible to chat and actually hear the voice of other chatroom participants. It is a far cry from Talkomatic back in the day, but it exists because of the same basic premise. People love to talk! At Wireclub, you can join free online chat rooms and indulge your love of chatting with friends and meeting new people. Wireclub has hundreds of rooms already established. If you prefer, you can create your own chatroom or message people directly and chat with instant messages. Get started today! A Brand new Game from Wireclub! We are happy to announce the new WireKeno game for Wireclub Chat! Try and match as many numbers as you can to win big prizes. Play your way and pick as little or as many numbers as you want. Risk the bonus and multiply your prize! Pick your numbers and start playing. New Valentine's Day Badges have arrived! The new New Years Badges are here! Fun, New Christmas Badges have Arrived! Decorate your profile with Ornaments! Keep warm and cozy with sweaters, hats, and mittens! The new Jack-o'-lantern Badges have arrived!